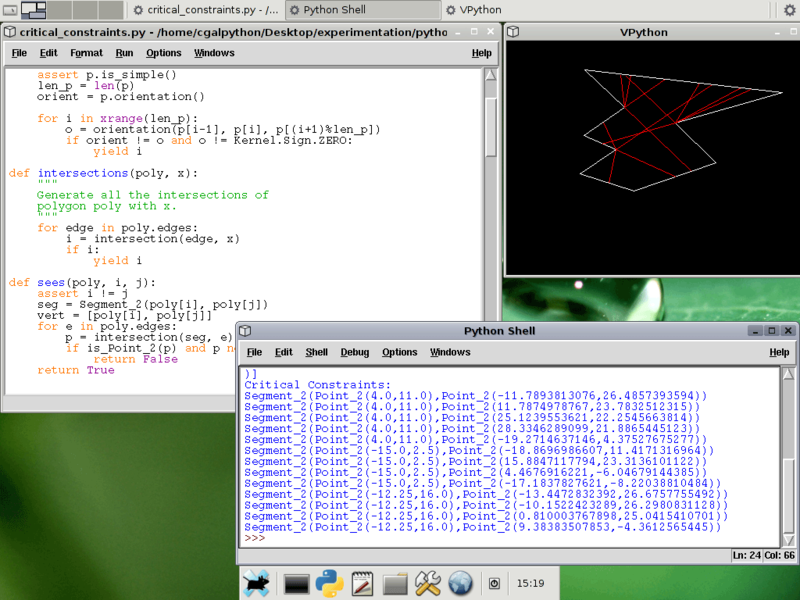 Development with CGAL-Python using the IDLE development environment. The CGAL-Python virtual appliance is a vmware virtual machine containing a full CGAL-Python development invironment. It is a relatively compact debian etch install with a full featured xfce desktop environment that comes preinstalled with all that you need to write programs in C++ using CGAL or in Python using the CGAL bindings. Log in as "cgalpython" using the password "cgalpython". Get the free vmware player to run the appliance on either windows or linux.